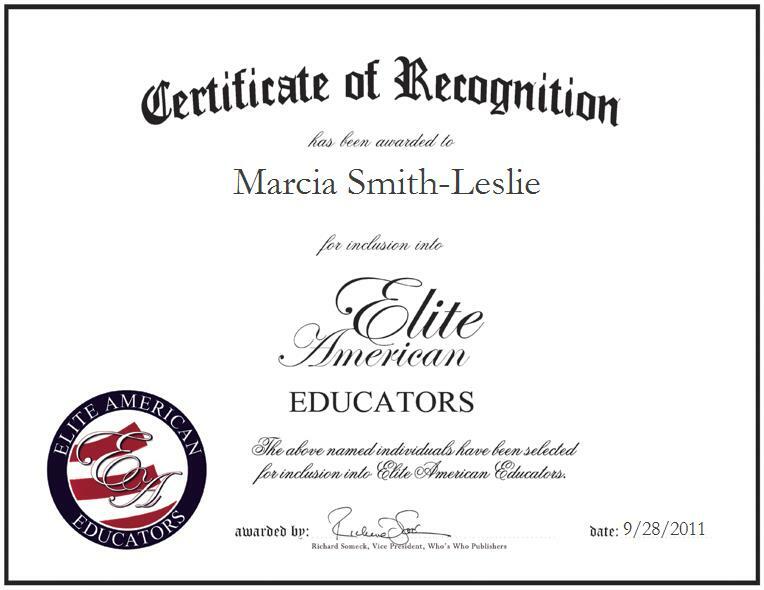 Marcia Smith-Leslie is a retired teacher formerly of the West Contra Costa Unified School District in California. Now a resident of Oshkosh, Wis., she recounts that in her 37-year career she was passionate for teaching children and loved to see them succeed at the elementary level. Ms. Smith-Leslie holds a master’s degree in counseling and psychology, and she was given a Best Teacher Award for her excellence in education. A volunteer for the Oshkosh Community Foundation, including its Women’s Fund program, she hopes to travel in her retirement and continue learning.